As the connected vehicles market begins to mature an ecosystem that brings together vehicle markets, connectivity providers, applications and the end users – whether enterprise or consumer – needs to be brought together. The internet of automotive things is growing continuously and encompassing many more applications to the benefit of organisations and end users. These range from well-established markets such as fleet management to newer ideas such as incar delivery whereby goods can be delivered to your vehicle. This is a large and varied market and will have even more breadth as smart cities, autonomous driving and pay per use cars become mainstream. This article was published on Transport360 in Q3, 2018. Get the pdf here (no sign-up required). Telenor Connexion, which designs, implements and operates IoT solutions to connect things, machines and people through a global IoT system with more than 400 mobile networks, sees the need for a wide ecosystem bringing together all the different players involved to be developed to support and enable the automotive ecosystem. This will comprise elements of fleet management, connectivity and vehicle-making ecosystems and enable many new opportunities. In the future more or less every container will be connected and part of the reason for that is every port needs information about what is in a container when it arrives. MiX Telematics, founded in 1996, provides fleet and mobile asset management solutions to enterprise fleets, small fleets and consumers with solutions for safety, efficiency, compliance and security. Using the software-as-a-service (SaaS) delivery model, the company delivers its solutions to customers in more than 120 countries, across 6 continents. More than 676,000 mobile assets – from trucks and buses, to vans, cars, motorbikes and trailers – are actively managed by MiX Telematics today via a network of more than 130 fleet partners. increased the number of countries in which it uses the service. 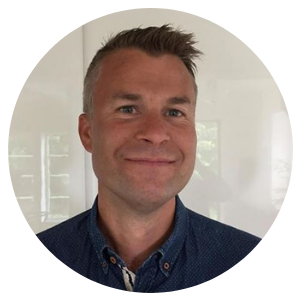 “We were chosen for several reasons,” says Tomas Svidén, an international key account manager at Telenor Connexion. “Both companies are truly global and want to offer their customers the same high level of quality across all regions. In addition, MiX wanted a provider who has the ability to be their partner for many years. This is because trucks can be in use for up to 15 years,” Svidén adds. MiX’s customers have a range of connectivity requirements based on their market. Telenor Connexion is able to offer a focused service based on specific requirement which creates the base for a strong partnership between both companies. 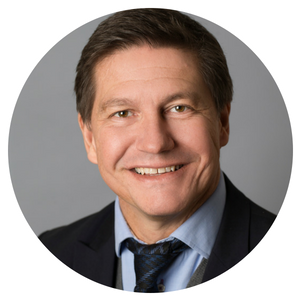 Integration with other systems will be a vital capability and Svanberg identifies four macro influences on the automotive sector: autonomous driving, electrification,, connectivity and on-demand mobility. That puzzle involves a longer value chain with multiple participants involved in delivering the experiences that users want. Svanberg says this type of structure is three-to-seven years away but when it arrives the market will have opened up new possibilities. Yet significant business challenges remain, in addition to the technical ones. 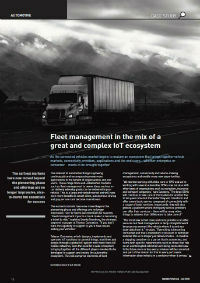 For fleet management applications as for consumer and other applications the great and complex ecosystem is also fragmented from location to location and this needs careful navigation. From telematics to V2V communication, we take a quick survey of connected shipping and transport today, and look at where things are headed.